« come Craft with us! Our inaugural DIY LA event was a success! We had a crowd of all ages decorating mini books with Washi tape. 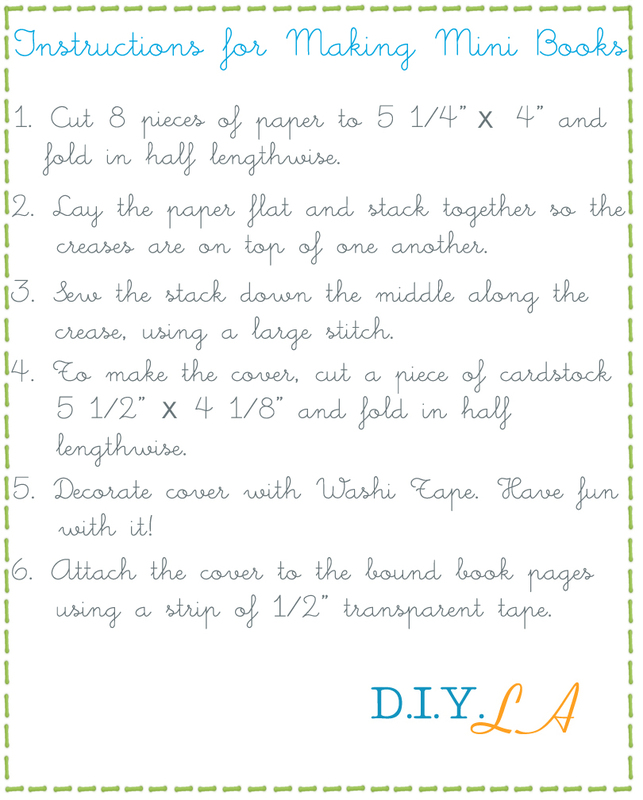 In case you weren’t able to attend, here’s some instructions for creating your own Washi Tape Mini Book. You’ll need some blank paper (we used regular ol’ copy paper), a piece of card stock for the cover, a paper cutter, a ruler, and some basic sewing skills! Here you can see we’ve cut the paper to the required size, stacked it up, creased it down the middle, and sewn a single stitch down the middle to keep the pages together. 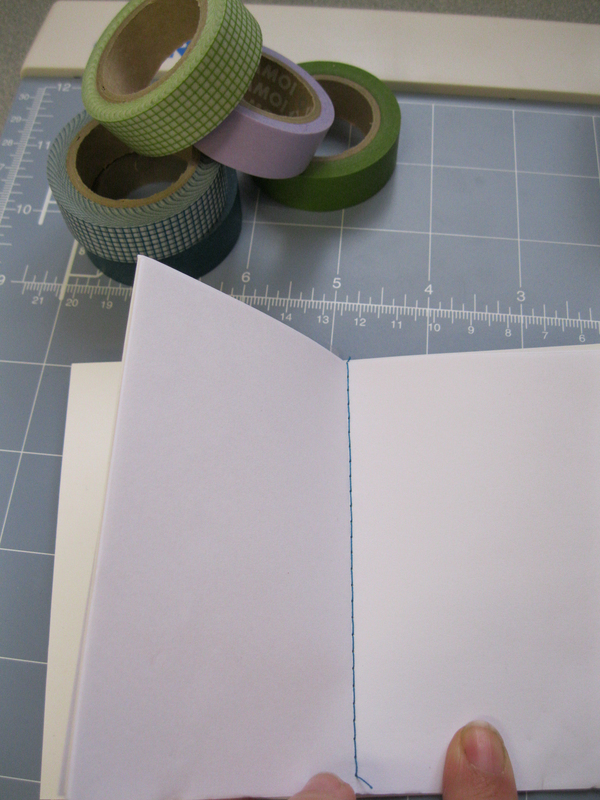 We found it easiest to decorate the cover with Washi tape before attaching it to the pages. Here’s a great example of Washi decorating, created by one of the DIY LA crafters! 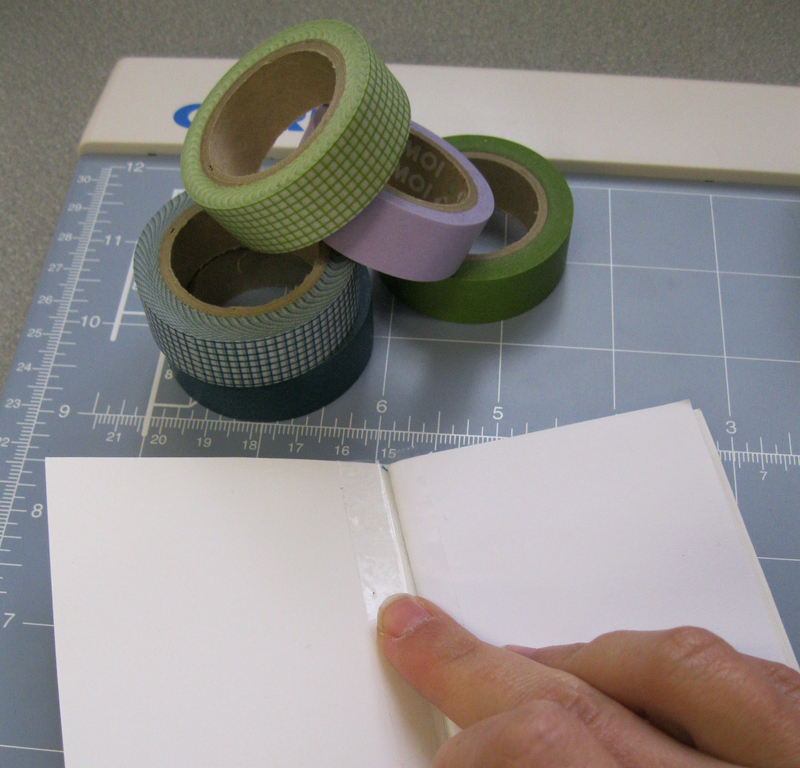 Once you’ve decorated your cover with as much Washi tape as it can hold, you’re ready to insert your pages. 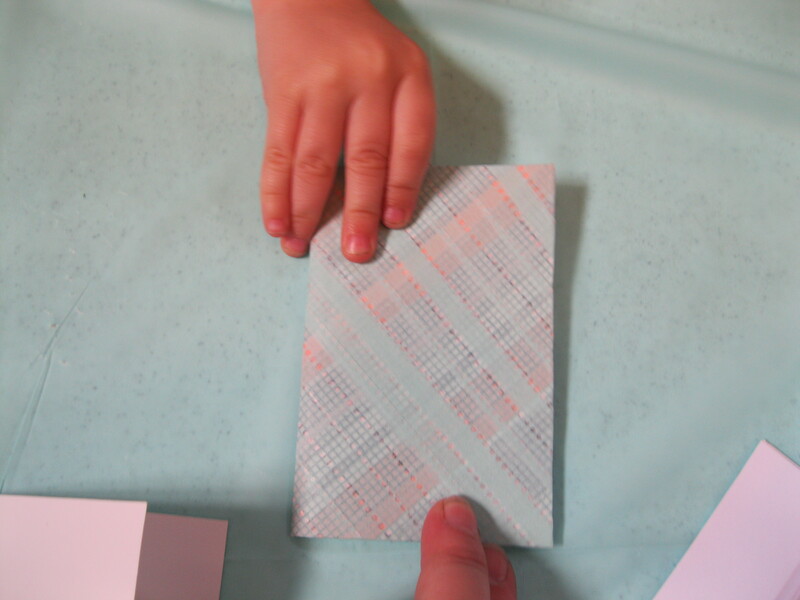 We found it easiest to just tape them inside with 1/2″ transparent tape, as shown below. Voila! C’est fini! You have made your very own little Washi tape mini book! If you’d like to see more pictures from our super fun crafting event, check them out here! And if you’d like to be notified of our next crafting event, you can sign up for our newsletter here. Categories Breaking News, DIY LA, Events, Get Crafty!